Events shape our lives, even distant and dark ones. From the time I was a wee little one, I have stopped my fear of dark places. I pick up my torch and journey alone through darkened corridors leading down into bottomless caverns of events past. I stumble upon the remnants of an intricate puzzle, which I bring back with me, and in the quiet of my dreams, are assembled before me. Over the past 500 million years, great terrestrial cataclysms drove global mass extinctions. A new paper for the 36th Lunar & Planetary Science Conference (LPSC) on 14-18 March 2005 provides insight on both the timing and cause of these great mass extinctions. The Cosmic Clock, The Cycle of Terrestrial Mass Extinctions, describes two primary mechanisms: Oort cloud comet impacts and nearby supernova events. A dual cycle of extinction events is observed and well ordered in geological time. Both mechanisms are synchronized to the passage of the solar system through the spiral arms of the Milky Way galaxy. Our solar system resides in a spiral arm galaxy called the Milky Way. The theory The Life Cycle of Spiral Arm Galaxies describes a perspective on the inner workings of this type of galaxy. The Unified Theory of Stellar Evolution describes the life cycle of massive stars. The Theory of the Infinite Universe describes our universe which extends in three-dimensional space to infinity and across infinite time. The Great Permian Extinction Debate was presented at the 35thLunar and Planetary Science Conference. The paper provides a hypothesis of the mechanisms behind the greatest mass extinction of life on Earth, the Permian extinction. The hypothesis is applicable to 5 of the 6 Great mass extinctions events that occurred at the end of the Botomian, Devonian, Permian, Triassic, and Cretaceous Ages. At the 2nd International Planetary Defense Conference held at George Washington University in Washington, D.C. on 5-8 March 2007, I presented the following 3 papers. Comet threat mitigation has either been ignored or folded in with asteroid deflection options. But comets represent a distinctly different threat and it would be extremely irresponsible to not address each threat separately. My first paper Comet Threat Mitigation Approaches & Challenges identifies an exploitable weakness in the structure of comets and describes an approach for neutralizing this threat. Disaster preparedness is the second line of defense for comet or asteroid impact events. If efforts to deflect or destroy the inbound threat fail or if the mitigation window is too short, disaster preparedness may be the only or last line of defense. My second paper Impact Disaster Preparedness Planning provides civil defense planning for impact events. Comet and asteroid impacts can produce a variety of damage effects. The front end of any civil defense plan is an accurate analysis of the potential threat damage. My third paper Comet and Asteroid Threat Impact Analysis provides a damage assessment for the full range of asteroid and comet threats. Impact Calculator Purdue University recently developed a calculator for asteroid/comet impacts. Supernovae - The Force Behind Great Ice Ages describes how a string of nearby supernova events produces and reinvigorates Great Ice Ages. Did a Supernova Cause the Collapse of a Civilization in India? Did a supernova cause the collapse of an early civilization in India around 2500-3000 BC and halt the construction of the Tower of Babel? Did a Supernova cause the Collapse of the Bronze Age Civilizations? Great and powerful nations that controlled the Bronze Age world in some cases for almost two millennium fell within a very short span of fifty-years between 1225 B.C. and 1175 B.C. Civilization collapse overtook the Mycenaean of Greece, the Hittites of Anatolia, the Egyptian New Kingdom, the city-states of coastal Syria and the Levant, the Hurrian kingdom of Mitanni, and the Kassite kingdom of Babylon. These were mighty nations and archeologists have long been puzzled by what force could cause these civilizations to fall simultaneously. Supernova: Disaster Preparedness Plan On 26 December 2004, a 9.0 magnitude earthquake struck off the northern coast of Sumatra spawning a large tsunami. The disaster left 300,000 people dead or missing in Indonesia, Sri Lanka, Thailand, Malaysia, India, Myanmar, the Maldives, Bangladesh and East Africa. The island of Simeulue was the closest to the epicenter. Thirty-foot waves crashed ashore along its coast. Of the 75,000 people living on the island, only 7 perished. This was one of the greatest areas of devastation but only 7 individuals perished. Why? The inhabitants of Simeulue Island knew the tsunami warning signs (large earthquake & shoreline receding into ocean) and they knew what to do (run into the hills). In an instant, it was determined who would live and who would die. The people on Simeulue Island survived. Do you know the warning signs of a nearby supernova and what actions to take to survive? This is not a distant hypothetical threat but one that is responsible for the sudden destruction of hundreds of civilizations during the short history of mankind. The Sun is Changing States: Time to Reassess Where It May be Heading! In general, the greatest solar flares, produce the greatest solar proton events and the greatest geomagnetic storms (provided the CME strike the Earth). The size of the flare that produced the geomagnetic storm of 13 March 1989 that damaged the Canadian electricity transmission system was an X-15 solar flare. This level can be viewed as a lower threshold. The greater the solar flare is above X-15, the greater the threat to our electrical power grid. Little Ice Age Theory describes natural climate drivers responsible for Little Ice Ages conditions. This paper describes Cloud Theory and Wind Theory. At the core of Cloud Theory are galactic cosmic rays (GCRs) and at the core of Wind Theory are diamond dust ice crystals. 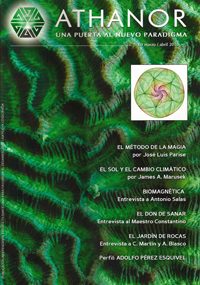 The Sun is Undergoing a State Change was published in spanish in the March/April 2010 edition of Athanor Magazine under the title El Sol y el cambio climático. This is the English version of the submitted article. The final version published in Spanish is available here. A Citizen's Guide to Terrorism Preparedness and Response: Chemical, Biological, Radiological, and Nuclear by the American Council on Science and Health. Nuclear War Survival Skills by Cresson Kearny. Getting Prepared for an Electromagnetic Pulse Attack or Severe Solar Storm by Jerry Emanuelson. Congress chartered the Commission to Assess the Threat to the United States from Electromagnetic Pulse (EMP) Attack to study EMP, GMD and other threats to the electric grid and critical infrastructures. The implementation of their critical recommendations has been stymied by past administrations. The Survival Doctor "What to do when help is NOT on the way"
The Tsunami Survival Guide describes preparation planning for the tsunami and mega-tsunami threat. The Everything Else Disaster Preparedness Plan addresses "Doom on a Truly Cataclysmic Scale". After reading it, David Bax wrote "This is perhaps the most visionary and forward looking piece I've read from you." Eleonora O'Connor-Risch wrote "Very interesting and on a truly grand outlook. You are a fellow romantic and independent thinker." Benny Peiser wrote that it "shows quite clearly that there are no existential threats that we could not deal with." The Other Side of the Global Warming Debate An inventory of references refuting the Anthropogenic Global Warming Theory. Climategate An inventory of references relating to the Climatgate scandal. My Comments to the EPA Proposed Endangerment and Cause or Contribute Findings for Greenhouse Gases under the Clean Air Act. The Other Side of the Ozone Depletion Debate The Ozone Depletion Theory - Natural or Anthropogenic? DDT Ban - Almost a half billion people contract malaria each year. Over a million of them die. DDT is the most effective weapon against malaria. But it was banned. Was that decision based on faulty research? The Other Side of the Biodiversity Debate An inventory of references refuting the Theory that Man is Primarily Responsible for Great Destruction of Biodiversity on Earth. Weather has been documented by early meteorologist and historians for centuries. A Chronological Listing of Early Weather Events will lead you to a massive weather resource covering the years 1 A.D. to 1900 A.D.
A Chronology of Notable Weather Events by Douglas V. Hoyt is another historical weather resource. It covers the period from 243 A.D. to 2010 A.D. Landmarks of World History: A Chronology of Remarkable Natural Phenomena by Christopher Chatfield is another historical weather resource. It covers weather events from 2668 B.C. to 1900 A.D. The Relationship between Cosmic Rays and Hurricanes was presented at the 2nd International Conference on Global Warming and the Next Ice Age. The conference, sponsored by Los Alamos National Laboratory, was held in Santa Fe, New Mexico on July 17-21, 2006. Forecasting Tool Predicted Correctly in 2008. 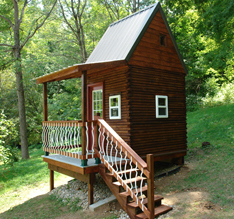 Log Cabin Playhouse documents the construction of a unique playhouse for the grandkids. Driveway Construction describes my method of building a concrete driveway in the flats and a brick driveway up my steep hill. This approach solved the problem I had with driveway erosion caused by heavy rains and floods. Underground Shelter - I completed construction of an underground shelter using an Intermodal Shipping Container. This shelter is unique in the range of threats it is designed to protect againsts. These include tornadoes, nuclear blasts, radiation fallout, chemical and biological attacks, asteroid/comet impacts, nearby supernova events, neutron bomb attacks, forest fires and firestorms, major earthquakes, super volcano eruptions, massive solar storms, pandemics, electromagnetic pulse attacks, and global famines. Due to its uniqueness, I named it: The "Armor of God" Shelter. ---Expect a long download. Did you ever wonder how life developed on this planet? The Origin of Life on Planet Earth describes one hypothesis. When I was young, I created a new branch of mathematics. This happened almost by accident. I named this collection of formulas Pattern Mathematics. In 1982, I developed an innovative analytical technique to assess aging degradation in non-homogeneous populations. The technique is referred to as "Delta Analysis". 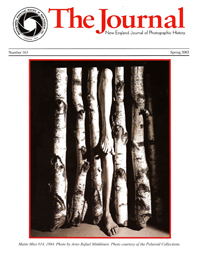 Heliography: A Chronology of New England Inventions and Innovations in the 19th Century was published in the Spring 2003 issue of The New England Journal of Photographic History, Number 163. Could there be a scientific basis for The Great Flood? 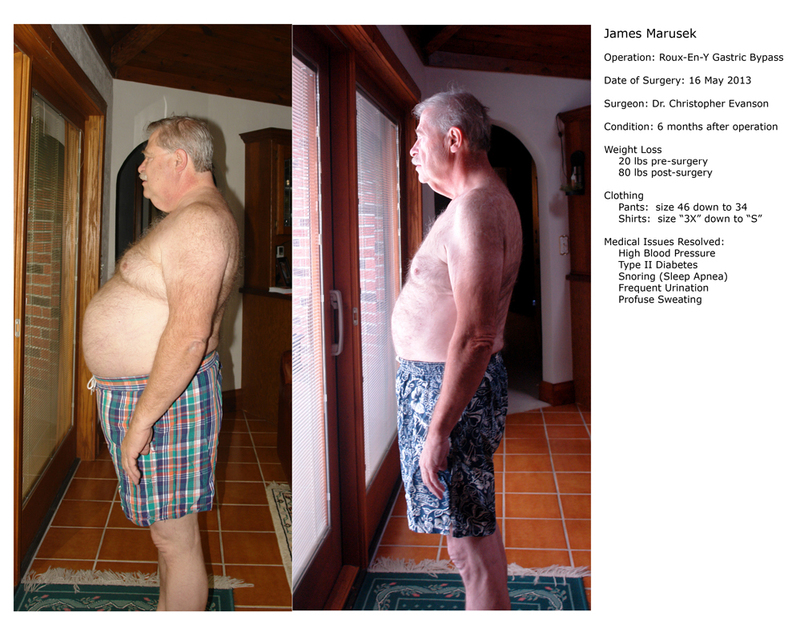 I underwent Bariatric Surgery (Roux-En-Y Gastric Bypass) on 16 May 2013. This photograph shows the results six months later. How I Survived Bariatric Surgery is a short article about my experience. How I Survived Bariatric Surgery, Part II provides an update to the original article. The Root Cause of Cancer explores the role of nuclear radiation as the primary cause of cancer. An Experimental Design for Mitigating Alzheimer's Disease provides a unique approach to resolving Alzheimer's disease. Treating Alzheimer's Disease With CT Scans provides another novel approach to treatment. Experiments with Essential Oils describes my experiments with the medicinal properties of essential oils. The article also includes a discussion on the development and testing of ADT4, an essential oil blend that may aid in the treatment of cancer. The Aspie Code describes Asperger’s Syndrome, which has recently been relabeled as High Functioning Autism. Chapters in this book discuss Aspies under the light of school bullying, careers and employment, romance and marriage. This book provides a unique perspective by a missing link in the Aspie Tribe. The book also describes the largest known number, a Goofillillion. Backyard Woodsman describes my 35 years experience with cutting, splitting and burning firewood. Gravity Fed Water Treatment System - Original. Gravity Fed Water Treatment System - Mod 1. Russian-Ukrainian Theory of Deep Abiotic Petroleum Origin Over a thousand research papers have been published supporting this theory. The Origin of Methane (and Oil) in the Crust of the Earth by Thomas Gold. An Introduction to the Modern Petroleum Science, and to the Russian-Ukrainian Theory of Deep, Abiotic Petroleum Origins. by J.F. Kenney. Does the Gulf of Mexico Hold as Much Oil as Saudi Arabia? Is the World's Obsession with Viral Etiology off-the-mark? - Could the root cause of Bird Flu, SARS, AIDS, Mad Cow Disease and the next Great pandemic be due to an atypical mycobacteria instead? Validity of the Linear No-Threshold Theory of Radiation Carcinogenesis at Low Doses - The human body is able to absorb low levels of radiation without harm. Is Atomic Radiation as Dangerous as We Thought? A Cure for Cancer - Maybe there is a magic bullet! Great Ice Ages are very rare events (3 in the last 500 million years). When viewed from geological time, the Earth presently resides in the middle of a Great Pleistocene Ice Age, a major extinction boundary. The current Ice Age began 1.7 million years ago and will continue for another million years or so. During an Ice Age, the Earth experiences a string of Global Cooling Events (GCE) triggered by nearby (<2,000 light year distant) supernovae. Ice core data implies GCE occur approximately every 1,000-1,500 years. During these events, very high energy galactic cosmic rays from supernova events produce short intense periods of radiation (days/weeks) at the planet's surface followed by long, less intense periods of radiation (stretching hundreds of years) in the Earth's atmosphere. Once the Earth passes out of this Great Ice Age, it will experience a long period of calm in which life will flourish. This calm will last approximately 80 million years until the Earth enters another extinction boundary. At that time, the passage of the solar system through a Milky Way spiral arm will dislodge a large number of comets from their orbit in the Oort Cloud. A collision of one or more comet fragments with Earth will then produce another Great Mass Extinction. Many of these papers are stored in Adobe Portable Document Format (pdf) to facilitate printing. Your computer will require an Adobe Acrobat Reader to view and print. A free download version is available at the following link. This format also allows searches within the document. This web site will touch upon the following subjects: Abiotic petroleum origin, acid rain, acidic gases, acoustic fluidization, aging, AIDS, albedo, albumen, Alzheimer's disease, ambrotype, amniotic eggs, anoxic, Archaea, Arecibo, Armor of God Shelter, aromatics, arthritis, asteroid, asteroids, asymmetric, atomic structure, atypical mycobacteria, Aurora Borealis, basalt eruptions, Big Bang theory, Big Crunch theory, black hole, Black Plague, black rain, Bragg Peak, blast wave, bubonic plague, buckminsterfullerenes, calcium carbonate, calotype, cancer, cancer cluster, carbon dioxide, carbon cycle, carbonic acid, cataclysm, CCN, Chicxulub, civil defense, climate change, cloud, CME, cloud condensation nuclei, cloud condensing nuclei, collide, collision, collodion, comet, comets, come-what-may shelter, communication, conflagrations, construction, corn, Coronal Mass Ejection, cosmic clock, cosmic radiation, cosmic rays, Cretaceous, crop production, cycle 24, cycle 25, Dark Age, dark matter, darkness, Deccan traps, deep impactors, daguerreotype, dementia, deoxyribonucleic acid, destruction, Devonian, dichloro-diphenyl-trichloromethylmethane, digit notation, dimethyl sulfide, dinosaurs, dipole, disaster, disaster preparedness, distribution, DDT, DMS, DNA, earth, earthquake, electrical blackout, electrical power grid, electromagnetic pulse, electrophonic bursters, elementary particles, Emeishan traps, emergency plan, EMP, epidemic, europium, evacuation, exit vector, expedient shelter, extermination, extinct, extinction, extraterrestrial impact markeres, extreme weather, famine, fern spike, fireball, firestorm, flood, flooding, fluorine salt, food chain, forecast, framboidal pyrite, fullerenes, Galactic Cosmic Rays, galaxy, GCR, Geiger counter, geomagnetic, geomagnetic storm, glacial, global, Global Cooling, global firestorm, global mass extinctions, Global Warming, gluon, grain mill, grains, gravitational switch, GRO J0852-4642, ground shock, Guadalupian-Lapingian Boundary, gypsum, heart attack, heavy metals, heliograph, heliography, heliomagnetic, Heliosphere, historical weather, Holocene, major Atlantic hurricane, hydrocarbon, hydrogen fluoride, hydrogen sulfide, hypercapnic acidosis, Ice Age, IGRF, impact, impact winter, infrastructure, interglacial, ionization, ionizing radiation, iridium, Justinian plague, kinetic energy, Kuiper Belt, Lakagigar Eruption, landslides, lava flows, leukemia, light-year, lime, linear no-threshold theory, Little Ice Age, long period comet, LPC, magnetic field, magnetic pole reversal, magnetic pulse, major cataclysm, malaria, marine invertebrates, mass fires, mathematics, Maunder Minimum, megaton, melainotype, meteor, meteorite, meteorites, meteors, microspherules, mitochondria, mutagen, mutation, nanoTesla, NASA, natural heat transport mechanism, neo, neutron star, New England, nova, nT, nuclear, nuclear explosion, nuclear particle radiation, nuclear war, nuclear winter, nucleus, neutrino, octupole, Oort cloud, Ordovician, organic carbon, origin of life, oxygen depletion, ozone layer, pandemic, patent search, pattern mathematics, peak overpressure, Permian, Permian extinction, Permian-Triassic Boundary, pestilence, petroleum origin, petroleum cracking process, plague, plan, photograph, photographers, photographic inventions, photographic patents, photography, phytoplankton, planning, platinum print, Pleiades, Pleistocene, Popcorn theory of the Universe, power blackout, prepare, preparation, preparedness, primordial hydrocarbons, proton, QGP, quadrupole, quark, radiation, radiation meter, radiation shielding, reboot civilization, recovery, Rinderpest, RX J0852.0-4622, salt print, satellite, shielding, shocked quartz, Siberian traps, SNEWS, solar cycle, solar irradiance, solar storm, solar flare, solar proton event, solar wind, South Atlantic Anomaly, SPE, spectral type O, spectral type B, spiral arm, storminess, SSA, starvation, stockpiles, sulfur dioxide, sulfuric acid, sulfurous acid, sunspots, superanoxic, supernova, survival, tectonic plate, terpenes, thermal radiation, threat analysis, threat mitigation, tnt, major tornado, Tower of Babel, transportation, Triassic, tsunami, threat, threat analysis, threat assessment, Tunguska, ultraviolet, underground, underground shelter, universal shelter, UV radiation, volcanic, volcano, water filtration, water treatment, Weather Chronology, Yersinia Pestis, and weather forecasting. In the event of an impending cataclysm (a nearby supernova, asteroid/comet impact, or massive solar storm), in order to disseminate this information expeditiously, I grant permission for anyone with the means to copy and post this website as a mirrored website. Under these circumstances, I also grant permission to anyone with the means to copy and reproduce this material in printed form. This permission is granted for a period of 60 days beginning when the threat first materializes.